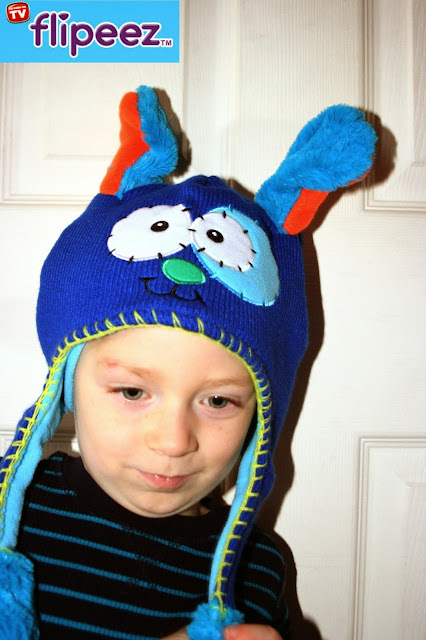 My son has begged me for a Flipeez Hat since he first saw a commercial for them. I wondered if they were just for fun or if they could be used as an actual winter hat. Several weeks later I was asked to review one for our Christmas Gift Guide. My son was thrilled; I was still waiting to see. When it came I was quite impressed with how thick the material was. It is lined with fleece and the outside is a thick woven material. It is very warm and it can be used as a winter hat. I love that it covers his ears and the quality is very good. My son loved the Playful Puppy design. I think he looks so adorable in it too. My son LOVES this hat! It is easy for him to make the ears flip. There is an air filled bulb in the end of one of the tassles and a quick squeeze makes the ears go up. (Other versions have a tail on back that goes up and down.) 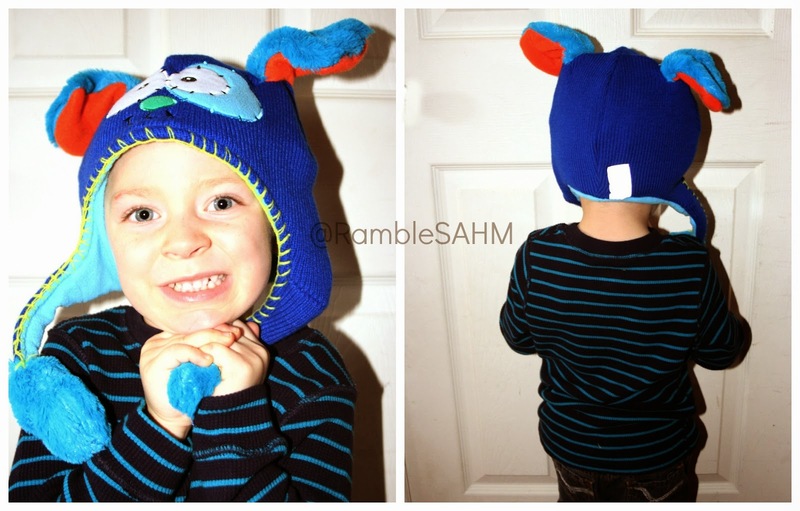 I love that it is a fun hat but that it is also able to keep kid's heads warm. I want to get one for my youngest for Christmas especially the Curious Owl. It is adorable. They have a great selection to choose from for both boys and girls! Overall, I am quite impressed and Little M loves wearing this hat which is the best since most of the time I am trying to get him to keep his winter hat on. It is fun but completely practical which in my book makes a great Christmas gift! Disclosure: The opinions expressed in this review are those of Whitney from Rambles of a SAHM. Products were provided free of cost in order to facilitate this review. This post contains affiliate links. Disclosure of Material Connection: I received one or more of the products or Services mentioned above for free in the hope that I would mention it on my blog. Regardless, I only recommend products or services I use personally and believe will be good for my readers. I am disclosing this in accordance with the Federal Trade Commission’s 16 CFR, Part 255: “Guides concerning the Use of Endorsements and Testimonials in Advertising"
Oh my goodness, these are adorable.. I love the cute names they have for the hats.. My favorite is the Peek a Boo Monster. I can see my guy squeezing the little puff ball all the time and wearing it to bed.